Millwater is an ideal place to raise children – nestled by the sea, close to estuaries, parks and new schools, and only 35 minutes from Auckland. 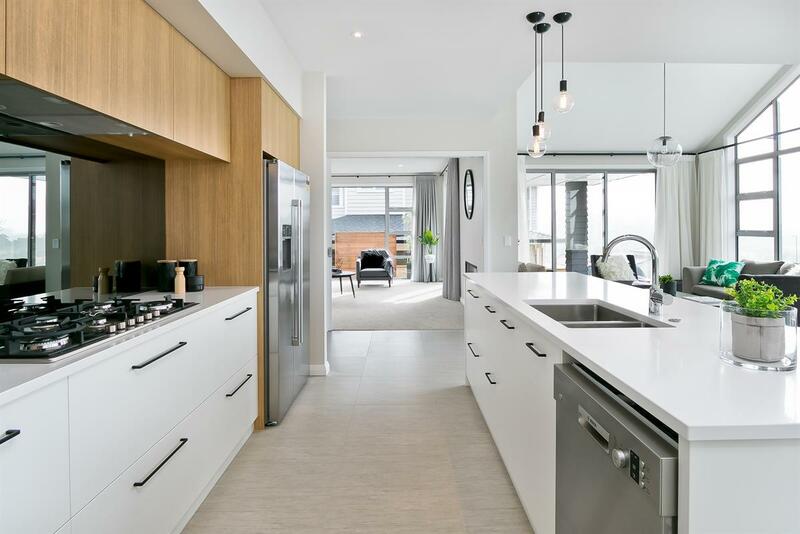 Sentinel Homes has designed and crafted many high-quality homes in the area – such as this four bedroom, two bathroom showhome with internal garage. 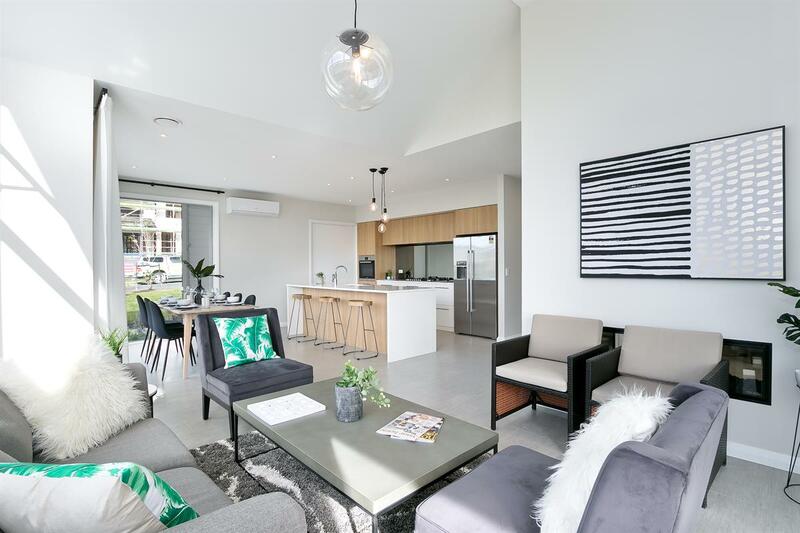 The contemporary home combines wow factors with a practical layout, says sales manager Philip Pilkington. 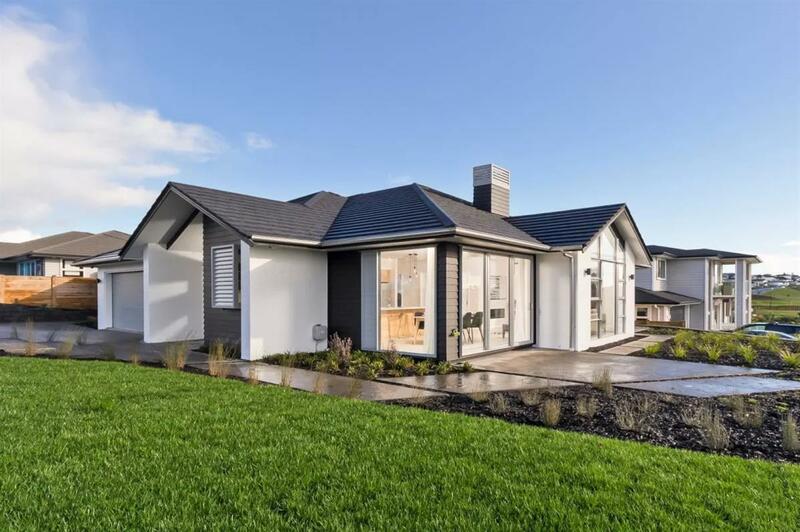 "The home has a high stud and impressive vaulted ceilings in the generous entry foyer and main lounge," says Pilkington. "It's also laid out for a relatively quiet life, with bedrooms to the left and public spaces to the right as you enter." Open to the living spaces, the well-appointed kitchen boasts wood finishes and a spacious walk-in pantry. The kitchen overlooks the two living spaces, dining and well-designed al fresco area. With the retraction of the cavity sliders, this combines with the living areas to create a large communal space.